Did you know that oral care and teeth cleaning are more than just a cure for bad breath? They can prevent heart, kidney and liver problems. 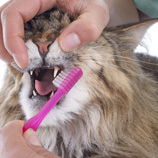 Dental plaque can build up due to the modern diet of today’s pets. 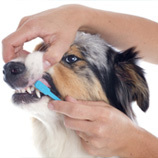 There’s no doubt that your pet will not only look better, but will also feel better with clean teeth, as nature intended. 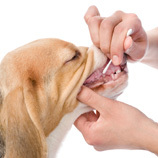 In the case of a pet with tooth decay, our oral and dental procedures can reduce pain, improve behavior, and increase their quality of life. 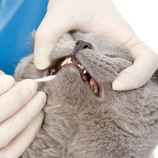 Our vets will be pleased to give you an initial assessment of your pet's dental needs.